As roofing projects cost a significant amount of money, it’s very important that you carefully choose your roof replacement to ensure that every dollar you’ll spend on it is worth it. To help you make the right decision, Kroll Construction discusses the important features you should look for in a roof replacement. Your roof is your first line of defense against extreme weather conditions. This is why it’s vital that you get a roof replacement that is tough, durable, and reliable. Choose Detroit roofing materials that are known for their durability such as asphalt shingles, metal, and slate. For better results, look for materials manufactured by trusted companies. Because the main purpose of your roof is to protect you from the elements, the ventilating and insulating properties of your roof replacement are another key consideration you should make. Without proper insulation and ventilation, your roof could easily lose its durability due to heat and moisture build-up in your attic. Having energy-efficient roofing in Detroit can help you save money on your utility bills as it enables you to easily regulate indoor temperatures in your home. With a roofing system that helps you stay warm in winter and cool in summer, you don’t have to use your HVAC system as much. This means you can significantly reduce your heating and cooling costs. It is also important to consider the appearance of your roof replacement as it can have an impact on your property’s curb appeal. Choose the type of roof that matches the architectural style of your home so you can bring out the best features of your property. If you can’t decide which roofing style is perfect for your house, consider asking professional roofing contractors in Detroit for advice. 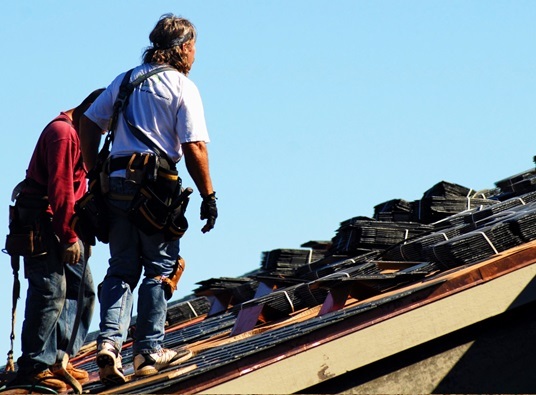 For a quick and hassle-free roof replacement project, trust the best roofing company in the state: Kroll Construction. For more than 50 years, we have been providing Detroit homeowners with reliable roofing solutions at affordable prices. Call us at (888) 338-6340 so we can help you choose the best roof replacement for your home.